Holiday events and celebrations are often exciting. However, as the volume of motorists on the road increases, so does the likelihood of an accident occurring. Sometimes drivers may become frustrated or excessively speed to get to their destination. Our Knoxville auto accident lawyers at Greg Coleman Law have prepared the following list of safe driving tips to help you and your family stay safe this holiday season. If you were hurt in a car accident, we can discuss your legal rights during a free case consultation. Before leaving, plan your trip ahead of time. Check traffic and weather conditions to determine the best time to go. This can help you avoid using a cellphone or GPS device while driving. Try to leave early in the morning or evening when traffic is lighter. Avoid leaving immediately before a holiday, if possible, to avoid peak traffic times. Have alternate routes in mind in case traffic backs up or inclement weather is present. Plan extra time for travel if driving with young children who will require more breaks and snack stops. If you are planning to drive a long distance, make sure your vehicle is in good working condition before leaving. You do not want to wind up stranded, especially if you will be in cold weather areas. When traveling with children, you probably will need to take frequent rest breaks. However, even if you are traveling just with adults, it is important to stop and nap when necessary. Taking rest breaks every two hours or 100 miles can help you stay more alert and avoid driver fatigue. Switch drivers periodically if possible and be sure to keep the driver alert by talking to him or her. Long distance travel can make drivers bored. They may turn to their phones or other electronic devices to break up the monotony. However, this can lead a driver to take his or her eyes, hands or attention off the road. Children can be very distracting when driving long distances. Keep them entertained by stocking up on books, DVDs and games. Driving during the holiday season can often be frustrating and result in bad decisions. 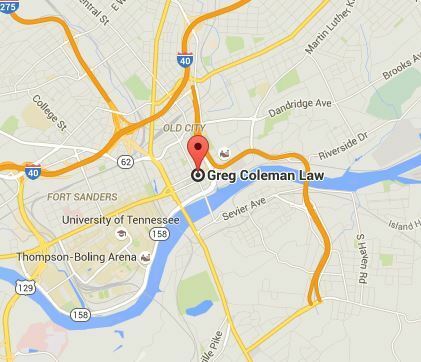 If you or a loved one was injured in a car accident, contact an experienced personal injury lawyer in Knoxville today. At Greg Coleman Law, we can discuss your legal rights and options for compensation during a free consultation. We work on a contingency fee basis, so you owe us nothing upfront unless we help recover compensation for your case. Fill out our Free Case Evaluation form or call (865) 247-0080 to find out how we can help you.